LEXINGTON, Ky. (April 24, 2013) — The Bluegrass State has long been touted as the Thoroughbred capital of the world, but that was not always the case. The once English-dominated horse racing industry was taken by storm in the 1950s, when a Kentucky-bred longshot with a curious connection to a myriad of famed figures won England’s premier horse racing event. For centuries, American Thoroughbreds were mocked as vastly inferior to European runners, but that was changing. Horse racing would forever be impacted by Never Say Die, a horse that made history across the pond and opened the door to Kentucky becoming the international epicenter of Thoroughbred breeding and sales. In Never Say Die: A Kentucky Colt, the Epsom Derby, and the Rise of the Modern Thoroughbred Industry, James C. Nicholson, part-time instructor in the University of Kentucky Department of History, examines the career of the first Kentucky-born racehorse to win England’s Epsom Derby in 1954. Nicholson uses the story of the record-setting Thoroughbred to bring together a wide range of seemingly disparate characters, including a bigamous failed actor-turned-inventor, a Muslim imam, a man accused of treason and the most successful rock-and-roll band of all time. 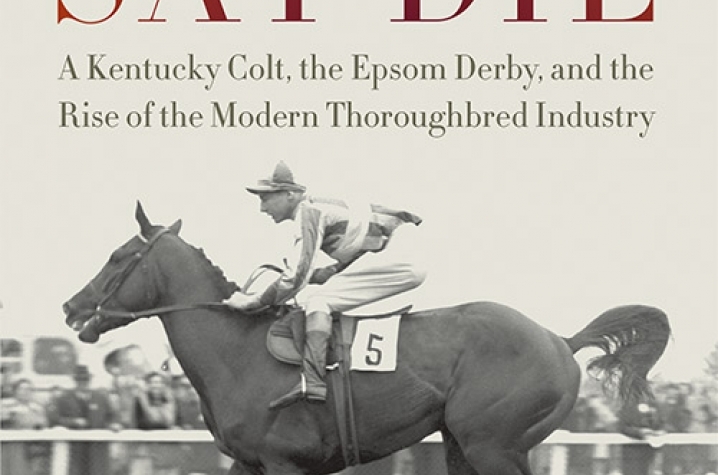 Never Say Die, published by University Press of Kentucky, recalls the horse’s legacy on the racetrack and how his Epsom Derby win led the transformation of Thoroughbred racing and breeding from an aristocratic pursuit into the multibillion-dollar industry it is today. "The English racing community (and American horsemen, for that matter) were shocked that an American horse won England’s greatest race for an American owner. It was widely believed in Europe that American Thoroughbreds did not have the class or the stamina necessary to win England’s greatest race," Nicholson said. Never Say Die was bred and owned by American philanthropist and art collector Robert Sterling Clark. Nicholson explains Clark’s claim to Merritt Singer’s sewing machine fortune and its place in creating Clark’s world-class stable of Thoroughbreds. Nicholson explores the history of the horse’s breeder, Sultan Mohammed Shah, the third Aga Khan, who produced some of the world’s top racehorses and bloodlines. Nicholson also connects the Kentucky-born horse to rock-and-roll. Mona Best, a Liverpool housewife and mother, pawned her jewelry to place a bet on a horse with 33-1 odds because of its name. With her winnings, Best opened the Casbah Coffee Club in 1959. Her son, Pete, joined a local band, the Quarrymen, who regularly played the Casbah. Pete was later replaced by Ringo Starr and the band changed their name to The Beatles. A chestnut colt with a white blaze and three white feet, Never Say Die earned his name from Nicholson's maternal grandfather. "My dad was familiar with Never Say Die because his father-in-law John A. Bell III raised the horse on his Lexington farm and helped the colt survive a difficult birth by administering some bourbon whiskey to the woozy foal minutes after his birth. Never Say Die’s name was an acknowledgment of his fighting spirit in the first moments of his life," Nicholson said. 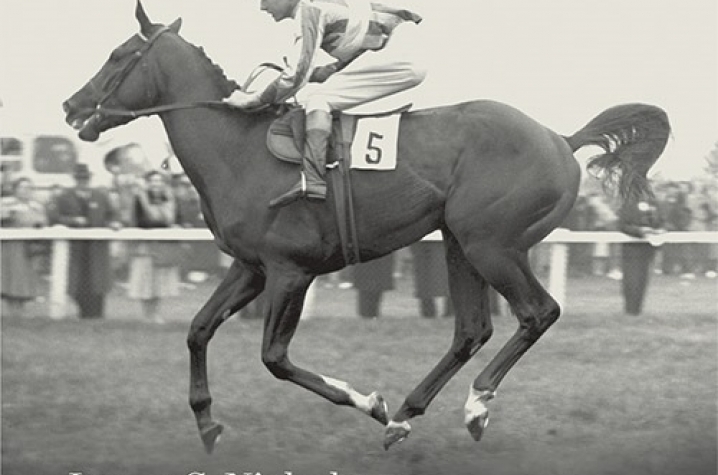 More than just a traditional biography of a horse, Never Say Day unifies a collection of stories and characters that illuminate the economic, social, political and cultural forces responsible for the development of modern Thoroughbred industry. By the 1960s and 1970s, American-owned horses would win Europe’s greatest races with unprecedented regularity. The success of American owners and horses abroad, in turn, helped create the international growth of the 1970s and early 1980s that made the United States, and Central Kentucky in particular, the unquestioned center of the global Thoroughbred breeding industry. Nicholson, a UK alumnus, is also the author of The Kentucky Derby: How the Run for the Roses Became America’s Premier Sporting Event.